You may download a printable copy of the In Light of the Cross Study Guides with the NLT here. The Bible only teaches one form of baptism. See Ephesians 4:5. We get the word “baptism” from the Greek word, “baptizo” which means, to immerse. To be immersed you must go into the water all the way. Romans 6 tells us the reason there is only one form of baptism. Baptism is where we are crucified with Christ and die to self. In Baptism we are giving all of ourselves to Jesus because He loved and gave all of Himself for us. When we go under the water we stop breathing for a moment. That is symbolic of our death to self. When we come up out of the water we take a new breath and that new breath represents the new life that we are now living for Jesus. How many types of baptism does God recognize? Why did John baptize there? How did Philip baptize the Ethiopian? Note: Disciplining or mentoring and teaching takes place before and after baptism. What else must take place? Who now lives in us? What are we declared to be? 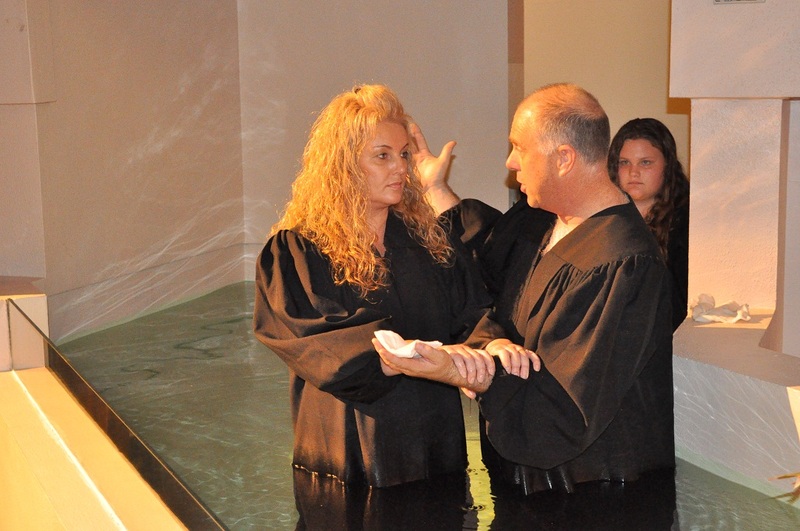 For what reason might one be re-baptized? Good article. So few churches are teaching repentance & baptism. The acts of obedience are clearly stated in the NT. We must believe in Jesus Christ as our Savior & atonement for our sins; we must repent of our sins; we must confess that Jesus is the Son of God; we must be baptized for the remission of our sins; and we must remain faithful. God thought of everything. He gave us the free gift of forgiveness through the death, burial and resurrection of Jesus Christ and He also gave us the way back to salvation whenever we stray through repentance. An unrepentant heart cannot be saved.